Fourteen local newsers are set to join Pope Francis on board the papal plane on his upcoming apostolic voyage in the country this January. 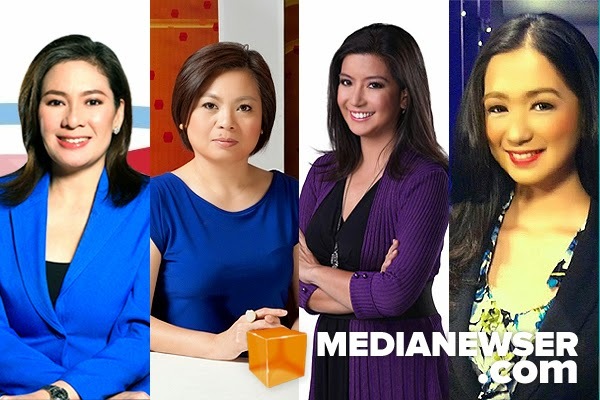 Among the names mentioned in a press conference held on Monday were from the 4 major TV networks: Lynda Jumilla of ABS-CBN, Kara David of GMA-7, Pia Hontiveros of 9TV-CNN Philippines and Carla Lim of TV5, who are all "tasked to cover the Pope's visit starting from Rome to Sri Lanka to the Philippines from January 12 to 19, 2015," according to Bishop Mylo Vergara, head of the media committee for the papal visit. Lim, who is the youngest journo included in the corps, said the opportunity came as a surprise to her. "Minsan naiiyak ako kasi hindi ako pinapabayaan ni Lord," she said in an interview with Media Newser Philippines. "Hindi naman ako humiling ng sobra sa kanya pero kapalit ng paghintay grabe siyang magbigay." "Hindi ko na tinitingnan na ako ang pinakabata sa grupo at hindi beterano. Alam ko hindi naman kasi ako papabayaan ng Diyos," Lim said. "I understand may expectations but I'll do it for him kasi siya naman ang nagbigay nito."